We've got a new fan project to announce for the first time today, and it's already looking pretty sharp. 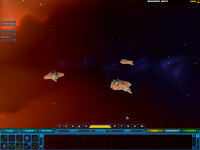 Aaron Thomas has been building a mod for Homeworld 2 that recreates it in Wing Commander 4's image. WC4 is a very popular game among fans (it's in the lead in our current poll), but relatively few mods are based in that specific era. 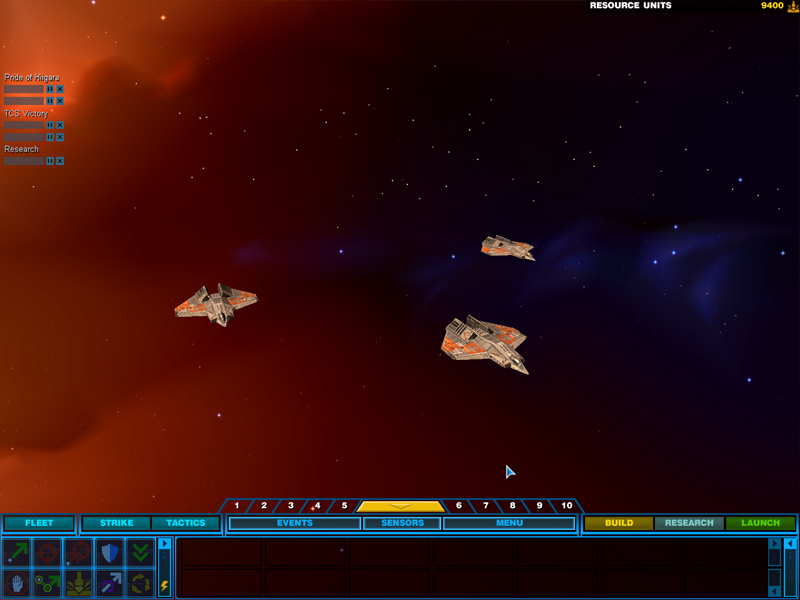 A variety of ships and features have already been implemented. The shots below reveal Banshees, Bearcats, Hellcats, Excaliburs and a Concordia class Fleet Carrier. 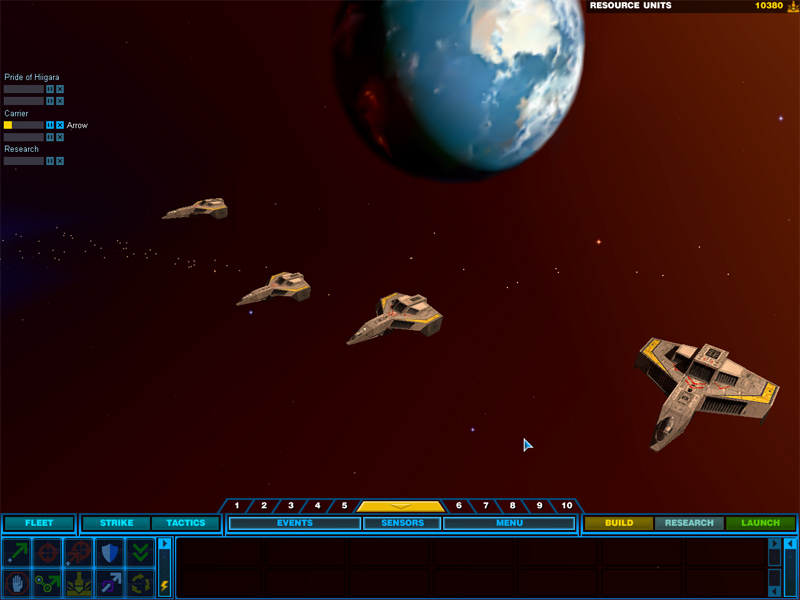 Ships look very nice and detailed in the Homeworld engine, and the interface should allow for a good mix of fighter and capital ship combat. Right now Aaron is working on the project alone, but there is quite a precedent for solo individuals creating fantastic finished works. In the future, fellow fans will probably be able to help by contributing feedback, minor graphical elements and other material. Hit the 'discuss' link below to let everyone know what you think so far. Well it looks really sweet...unfortunately I'm getting tired of all the announced mods that for RTS style games and yet we haven't seen a single release of anything from anyone. Sorry to sound pessimistic...the screenshots look pretty darn cool but...I want to see a release before I get excited about it. I'm sorry but I have to agree, I need to see something more substantial than a few ships to convince me to have faith in this mod. If I recall my WC4 history correctly, the length of the Durango class is 530 m. It is basically a kitbash, with a custom hangar/bridge area (that was neve shown in one piece; in the game the bridge module has been blown apart as Blair arrives on the ship for the first time and never repaired. The command center we see is the backup CIC, buried in the ship's hull.) The engines/turret mounts are modified Tallahasee hulls, turned sideways and refitted to operate in that dimension, with engines where the Tallahasee hangar used to be. Now, for a ship-strapped Border World economy, this of course makes no sense, as kitbashes never do - companies seem to use 'em anyway, as it's easier to use elements of existing models in designs than it is to create completely new ones....but that's a academic's argument. Well it looks really sweet...unfortunately I'm getting tired of all the announced mods that for RTS style games and yet we haven't seen a single release of anything from anyone. 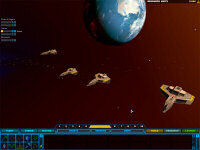 Fleet Action, the original Homeworld RTS mod, had some sort of release. Something like PiArmada probably counts as a turn based strategy game. 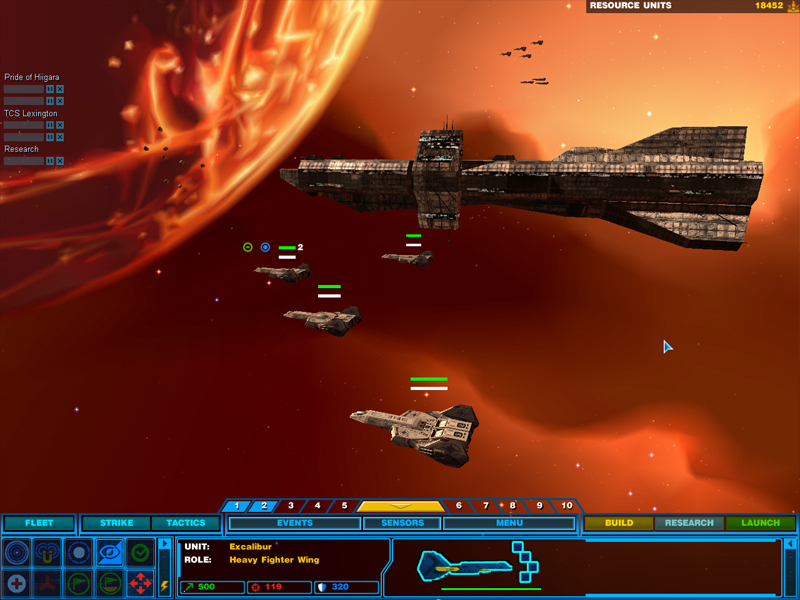 And I think this looks better than most of the Nexus stuff and other strategy game mods that were started and fizzled out. It didn't take more anything more than screenshots of a few ships to give you faith in WC Saga. http://www.crius.net/zone/showthread.php?t=20156 Or even a few sentences about "boring stuff" http://www.crius.net/zone/showthread.php?t=20200 And they've been working on it for five years and are still months away from their preview release. People need to be very careful about carrying over feelings from other projects onto new ones. Most fan projects fizzle out and go nowhere. You can't escape that. But people were quite skeptical of Unknown Enemy back in the day. People's experiences with other teams caused them to be quite pessimistic about that one. And beyond it turning into a great mod on its own, it directly continued into Standoff today. Chances are against any individual mod working out, and everyone should have been keeping this in mind when we got a flurry of new projects at the beginning of this year. But each project has to be judged on its own merits, and this one looks neat. The design is a lot more distinct than a couple cruisers joined with a flight deck. The only similarities are a few angles near the front. It's pretty much all new. "Kit-bashes" are very rare in Wing Commander. There's a couple creative ones in Secret Ops. That's pretty cool. Guess I should say you [Aaron Thomas] did what I couldn't do: Getting the HW2 modding tools to work (it's a long and depressing story which ivolves multiple reinstalls, system failures and general madness from WinME). also thanks to the responce on the durango class. i think however, that i am going to first finish up the confed ships. anyone have an idea on the length of the tallahassee. right now ive got it slightly longer than the conordia class carrier. i really hope its not the stated 500+ meters that is listed for the wc3 version. 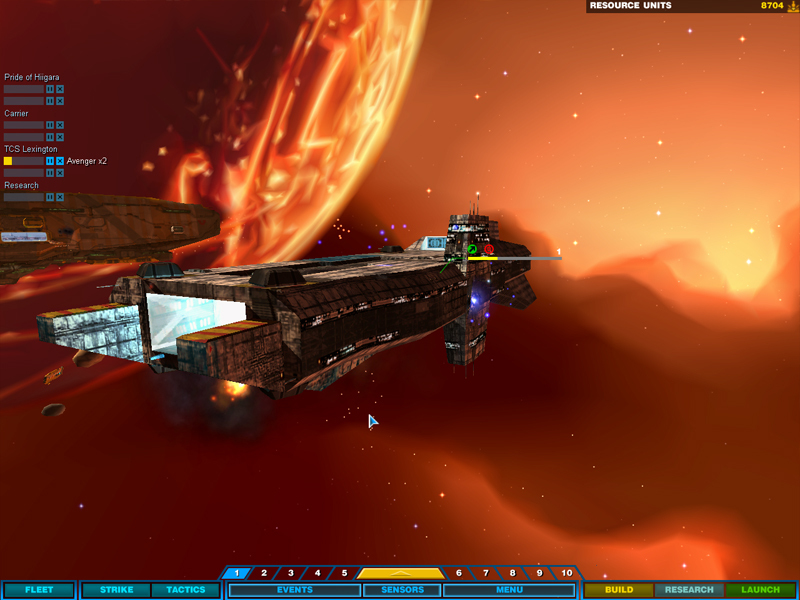 this ship is going to be the major firepower for the confed so id like it to have some presence on the battlefield. plus does anyone have any idea what that lovely head-light on the front of the cruiser is supposed to be? a sensor array or a weapon? if so i can add it to the ingame ship attributes. Whoa. Even if the gameplay mechanics can't be 100% authentic especially in regards to shields, the eye candy alone has it sold. Last I checked, the Concordia class fleet carrier was some 800 meters long. This is a brand new mod, WCS has been in the works for quite a while. a small upate. The tallahassee in its borderworld uniform. new guns, engines and paint. 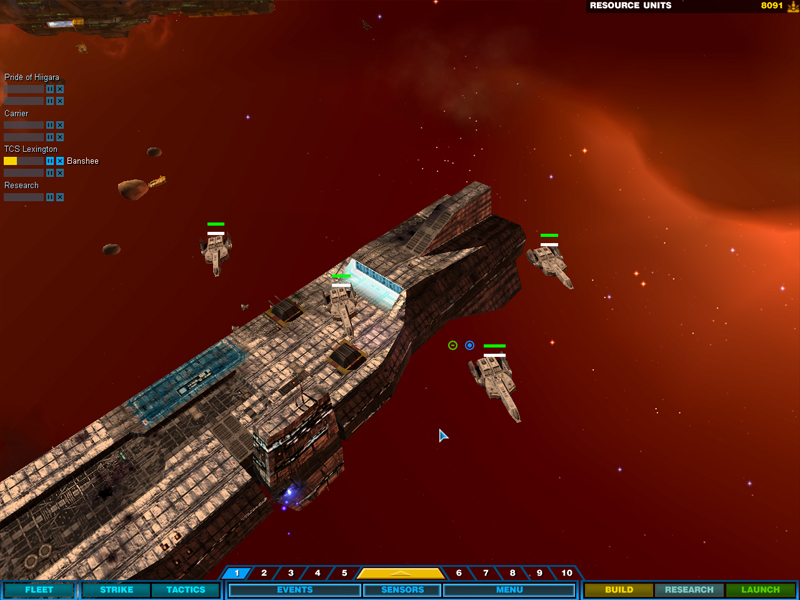 was going to finish the destroyer class ship but i misplaced some files so it will probably only be ready tomorrow. c&c everyone. also still waiting for the info on the tallahassee length and glow light on the front. anybody? AFAIK, nobody really kows, since nothing's ever been seen in any of the games coming out of that port. Most of WC's gameplay was fighter-centric, there really weren't any capship battles seen in WCIII - WCIV that involved the Tallahasee. IIRC there really wasn't any mention in the novels either about the ship's fighting capabilities - the focus was always on other classes of ships. If I had to venture a guess, I'd assume that either that was a monster capship missile launcher, OR a light phase cannon. There just happens to be a lack of people working on it. 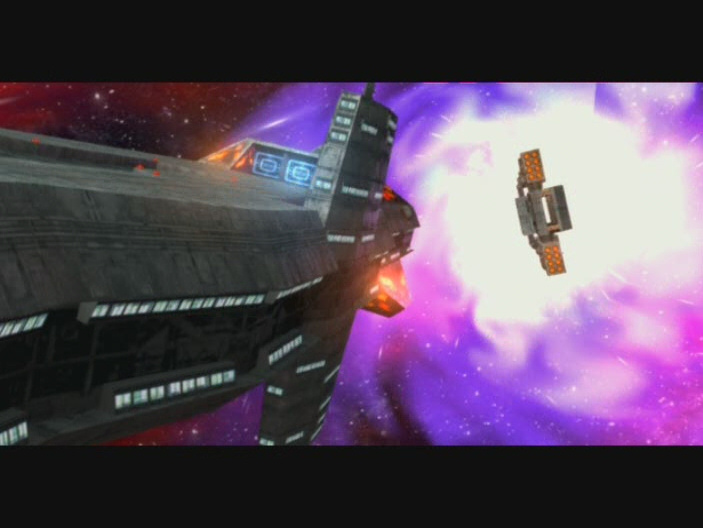 In the novels, at the defense of Earth some of the major capships (Concordia and others) had been equipped with a "phase cannon" - a monster energy cannon that was able to penetrate phase shields, but used enormous amounts of energy to do so. Kinda a variant on the superweapon in the WC II expansion. As WC III/IV take place long after the defense of Earth, I'd assume that the technology wasn't thrown away, but refined and made so that something less than a battleship/fleet carrier could carry a lesser variant. This is as good a time as any. Post any pictures you'd like. also thanks to the responce on the durango class. i think however, that i am going to first finish up the confed ships. anyone have an idea on the length of the tallahassee. right now ive got it slightly longer than the conordia class carrier. i really hope its not the stated 500+ meters that is listed for the wc3 version. this ship is going to be the major firepower for the confed so id like it to have some presence on the battlefield. Exactly, and all they have are pictures. I'd call that fizzling out. WC3 takes place a matter of months after the Battle of Earth, and only a few short years after the events of Wing Commander 2. The Phase Transit Cannon was so large it formed the keel of the huge Confederation Class Dreadnought. It was only utilized on this class, and it was abandoned shortly before WC3 because it was too unstable. this may sound kind of weird, but can anyone tell me where the 3 remaining turrets go on the concordia? ive got only 8 of the 11 so far. small update. these guys are going to play a important role for the BW side. The mod looks really promising, czacen -- seems like you've put in a lot of development time already! Regarding the turret placement on a Concordia Class Fleet Carrier, I don't believe there has been any official documentation/reference images as to the exact placement, so it would probably be best to extrapolate from the TCS Victory (Hermes type Light Carrier according to Loaf's Ships List V2.0) which appears structurally similar but comprises significantly less tonnage than the Concordia class. 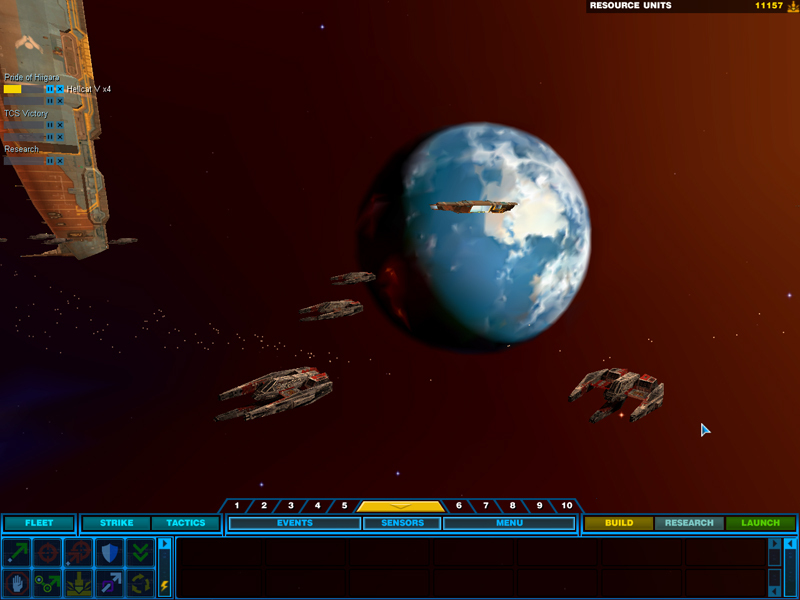 Your Concordia model appears to derive from the WC4 Lexington (referenced in-game as Concordia class, although it uses the WC3 Victory model in the game engine. The Concordia class is larger and substantially more powerful (carries over twice the fighters/bombers) than the Hermes class and while they appear to share the same design heritage, the Concordia class has its conning tower noticably on its starboard side versus the Herme's port-side. 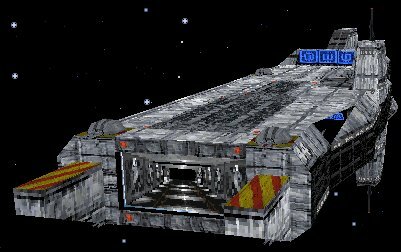 I think Loaf mentioned in another thread last year that Origin intended to produce a high-res Concordia class model (and presumably lower-res, in-game, gameplay version too) for WC4 but had to shelve the idea, probably due to time constraints. That's a WC Saga mistake. The Concordia class also has its tower on the left.